Kajeet's parental controls allow you manage your child’s cell phone usage to your level of comfort. You can limit when the phone can be used and how it can be used. You access these controls by logging into your parent account at Kajeet’s website and clicking on the Parental Controls menu on the left hand side. You will see a list of categories across the top. These are: Wallet Manager, Time Manager, Contact Manager, and GPS Phone Locator. Plus there's a new Smart Blocker feature for their Android phones. Below these categories are a set of general permission which determine what kind of content the phone can access. The general permissions allow you to decide what kind of content your child can access. Here, you can also decide whether your child can use the GPS Phone locator. For example, this reviewer’s daughter lost her phone and with the help of the locator tracked it down at her ballet class. In terms of controlling what’s on the phone, you can decide whether your son or daughter can send and receive picture messages, purchase and download content, and view websites or use instant messaging services. In terms of websites, you can allow access to either the open internet or just Kajeet-approved sites. If you decide to allow your child to download and purchase content, they will have to do so from their Kajeet Wallet, and you control this using the . . . The Wallet manager lets you add money to your “wallet”. You can transfer money from your wallet to their wallet and vice versa. If you decide to add money to their wallet on a regular basis as part of their allowance, you can schedule automatic refills of their wallet. In addition to the restrictions how the phone can be used, you can also decide when the phone can be used. You restrict when the Kajeet phone can be used by time and day. The picture shows an example of restricting phone use after 9 pm on weekdays. You can also set up exceptions to these rules such as on vacations. Unlike most phones, the Kajeet contact manager controls who can call and be called. This is one of the best of the Kajeet parental controls. For allowed contacts, you can set them up as normal contacts who have to follow the time restrictions or you can allow them to call no matter what time. In this example pictured, I’ve added “Mom” as a contact and set her up so that she can call and be called at any time. Tip: Remember to Add Voicemail! One thing we forgot to add to the contact manager when we first set it up was the voicemail number. One time we called our daughter's Kajeet phone, but she couldn't get to it before it went to voicemail. Unfortunately, she couldn't check the voicemail because that number hadn't been added to the contact manager! 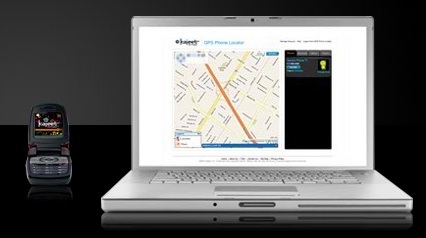 If you don’t want to call your child by phone, but still want to see where they are, you can rely on the GPS locator. The GPS Phone locator can be used anytime to locate the Kajeet phone via the web. You can also set up the locator service to send you notifications on a schedule that matches your child’s schedule. If your daughter is supposed to be at soccer practice at 4 pm every weekday, you can have the locator service send a notification of her location to your email at 4pm every day.